Here are some of the frequently asked questions about attachments. How do attachments work on the web? On any income, expense, transfer, or adjustment transaction you can attach multiple documents. 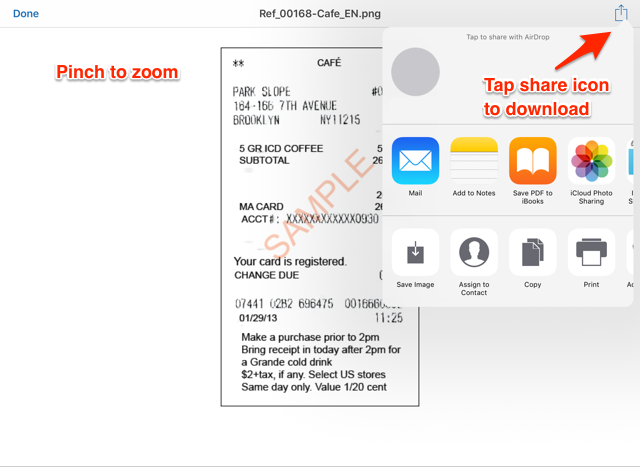 Just click on any existing transaction and you'll see an Attachment Upload section that you can use to upload files. 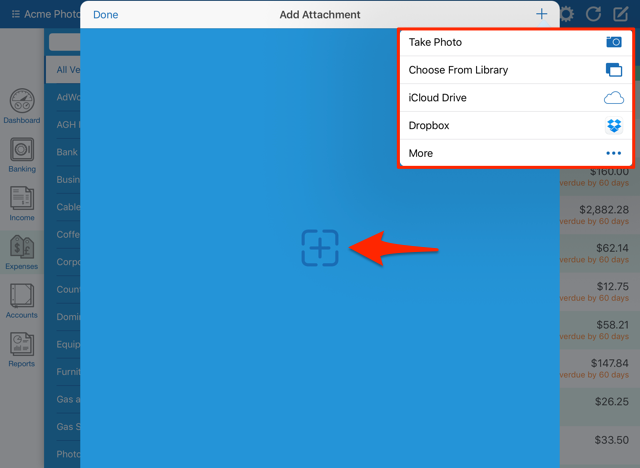 How do attachments work on the iOS apps? On any income, expense, transfer, or adjustment transaction you can attach multiple documents. To do so, simply tap on the paperclip icon. Then tap on the plus icon, and choose whether to take a new photo or choose an existing file. Tap on Done to save the attachment. 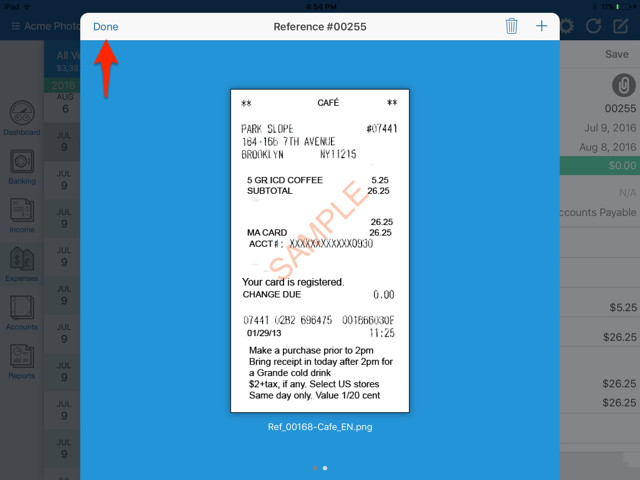 Transactions that have attachments will have a paperclip icon displayed. 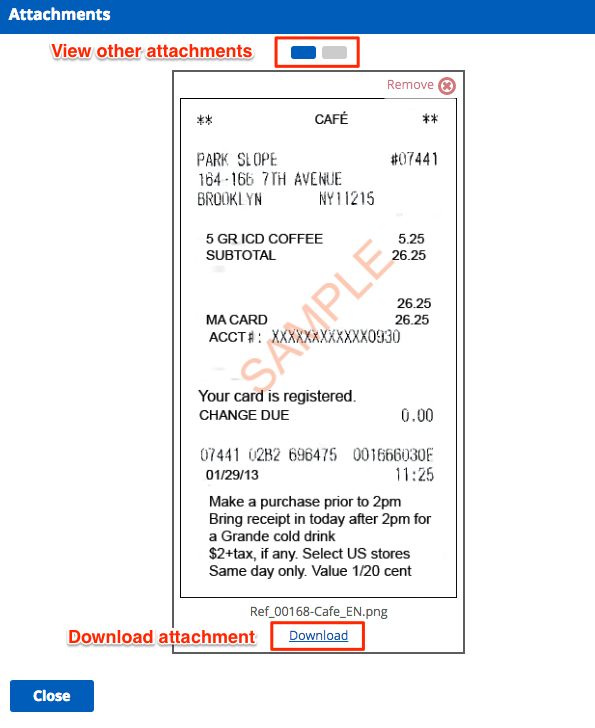 To view attachment(s), open the transaction and tap on the paperclip icon. If you have multiple attachments you'll see dots on the bottom and you can swipe to see different attachments. Tap on the attachment to get the option to download or zoom in. Tap on the share icon to download/share. Additionally, you can pinch to zoom. Where are my attachments stored? Your attachments are stored safely in the cloud with your Kashoo account information. Can I take photos with my iPhone and attach them within the iPad app? 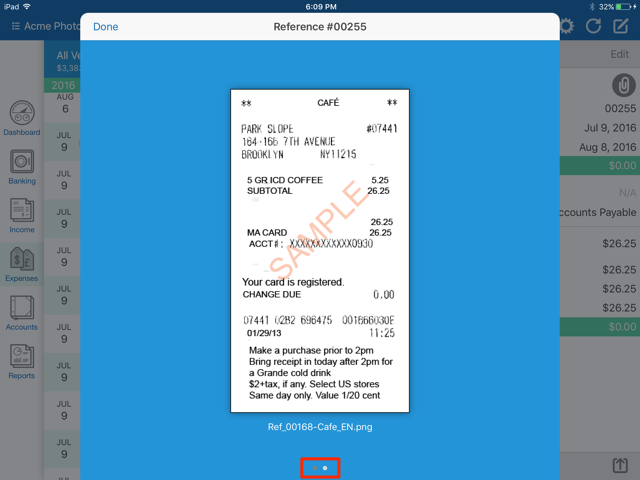 Yes, if you're using Photo Stream on both your iPhone and iPad, you can take a photo of a receipt with your iPhone, and then go to your iPad to view that photo within Photo Stream and attach that to the transaction within the Kashoo for iPad app. When trying to add an attachment it says "This app does not have access to your photos or videos". What's up? 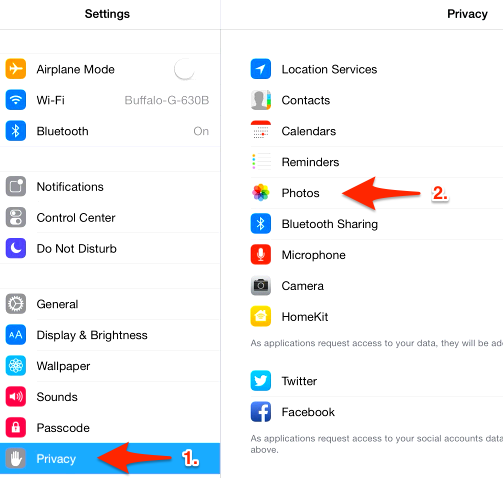 You can enable access in Privacy Settings on your iPad by going to Settings -> Privacy -> Photos. Ensure that the option next to Kashoo is set to On. Can I download my attachments? 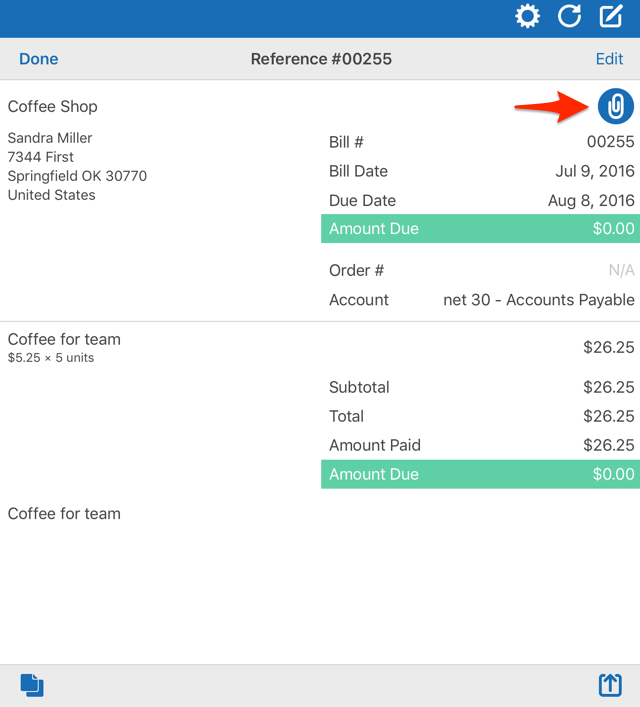 Yes, on the iPad you can do so by sharing the invoice or expense. 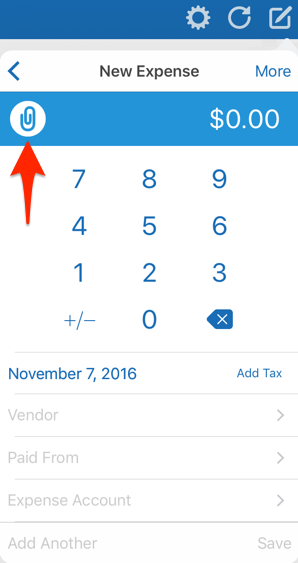 When viewing an invoice or expense, tap on the share icon and then "Mail" to send an email with the attachments. You can also do so via the web app by viewing the attachment and clicking on the Download link.